Buy this item and earn 26 points valued at $1.30. 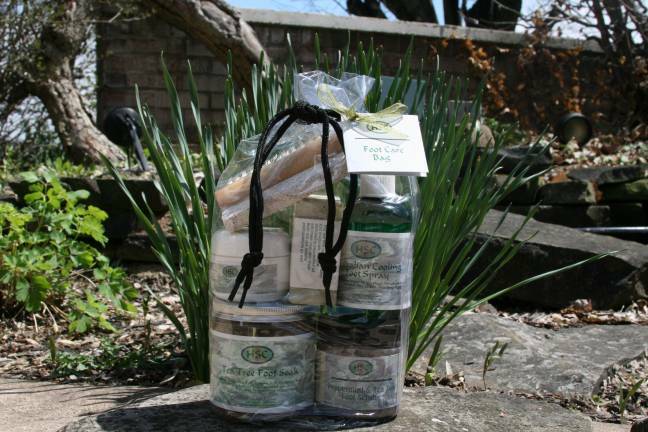 All the products you need for beautiful healthy feet! Contains: 1 - 8oz. Tea Tree Soak, 1 - 4oz. 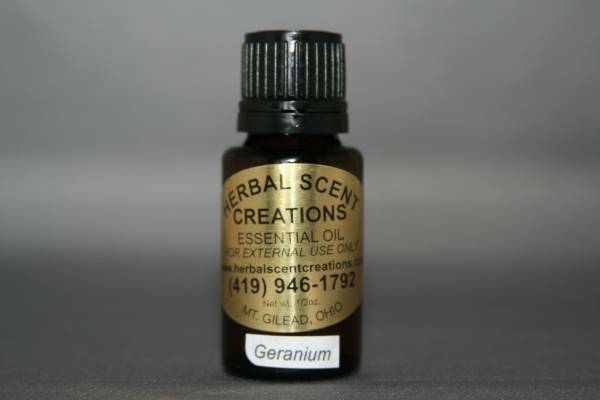 Australian Foot Spray, 1 - 4 oz. 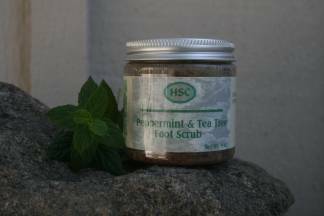 Peppermint & Tea Tree Foot Scrub, 1 - 4oz. Tea Tree Lemon Mint Soap, 1 - 1oz. Peppermint Foot Cream and a pumice brush. Packaged in a reusable drawstring bag.